A double bill this week with a new duo of Martin Speake and Malcolm Earle-Smith, plus a set from improv quartet Splatter. Splatter play improvised music that is not quite many things. It isn’t quite jazz, it isn’t quite free jazz, it isn’t quite free improvisation, it isn’t quite avant rock or plain old rock, or folk music or contemporary music – it is all of these things, mixed together in the moment – sometimes in the same tune. Time Out remarked that Splatter ‘feed shards of rock and black metal into their freeform jazz Soundscapes”. They have released three CD’s to date, the most recent being ‘Cloudseed’ which features a collaboration with Polish bass guitarist, Rafal Mazur. 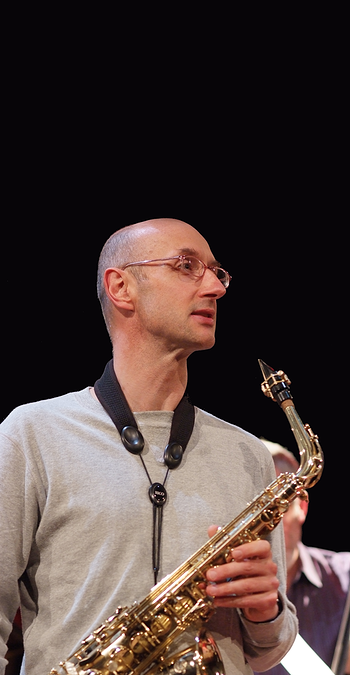 Citing Lee Konitz, Charlie Parker, Warne Marsh, Bill Evans, Keith Jarrett, Ornette Coleman, Steve Coleman, Rabi Abou Khalil, and Paul Motian as major influences, Martin has developed a personal musical voice that expresses a deep understanding of the history and language of Jazz with individuality as an improviser that is intelligent, melodic, cool, complex, direct, beautiful and profound. Martin will be performing an improvised duo set with acclaimed trombonist Malcolm Earle-Smith. This entry was posted in black metal, clarinets, drums, guitars, improv, joy, saxes on November 28, 2014 by cath. This week at Long White Cloud, we’re hosting the debut performance by a brand new improvising trio comprising Colin Webster (saxophones), Alex Ward (guitar), and Andrew Lisle (drums). The trio formed prompted by an offer of a free recording session – an offer too good to pass up! This first musical meeting led to the trio’s new album ‘Red Kite’, out this month on Raw Tonk Records. 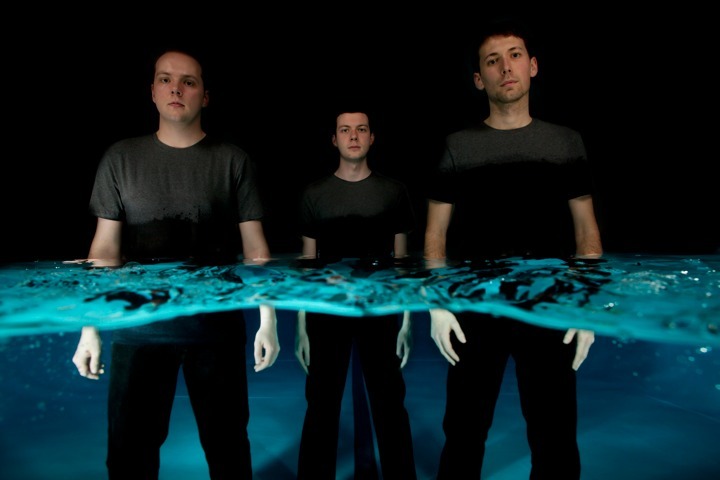 All three members of the trio are prolific on the UK and European improvised music scene. 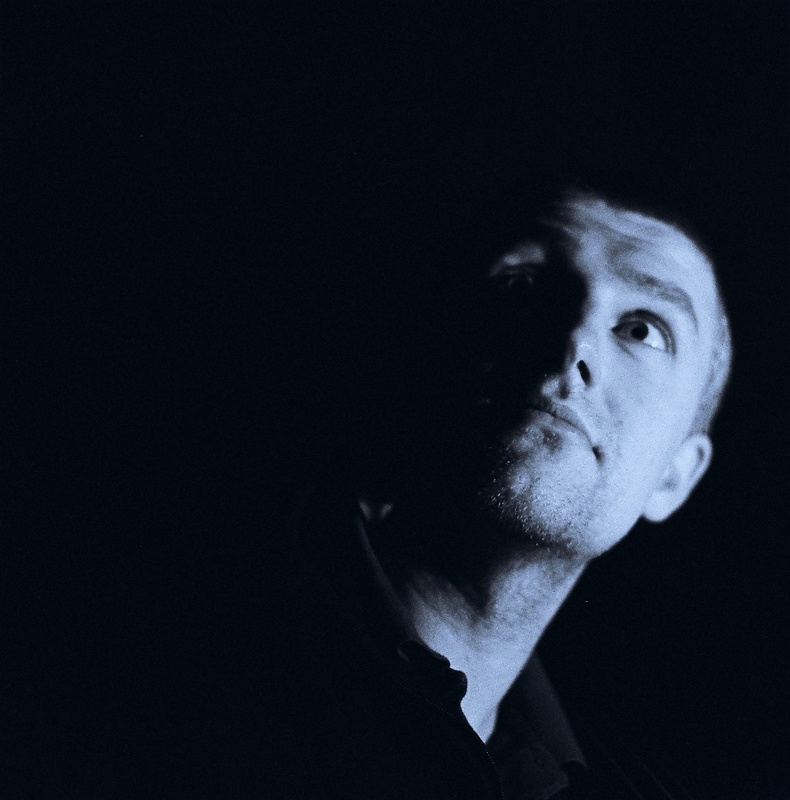 Alex Ward is known for his early collaborations with Derek Bailey, his powerhouse trio N.E.W. with Steve Noble and John Edwards, and his composition/songwriting work with his sextet, and duo Dead Days Beyond Help respectively. 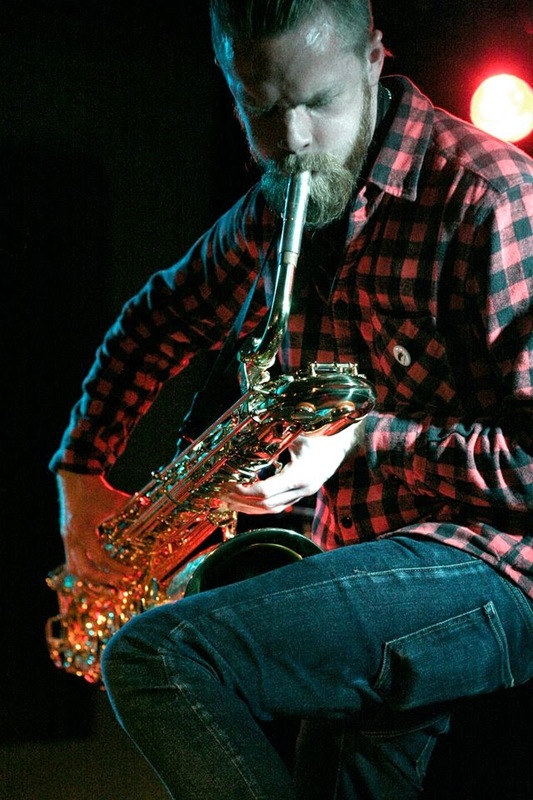 Andrew Lisle has worked with a number of key London-based improvisors including Ward, Daniel Thompson, Seymour Wright, and plays in Roland Ramanan’s Tentet, and punk-improv band Shatner’s Bassoon. 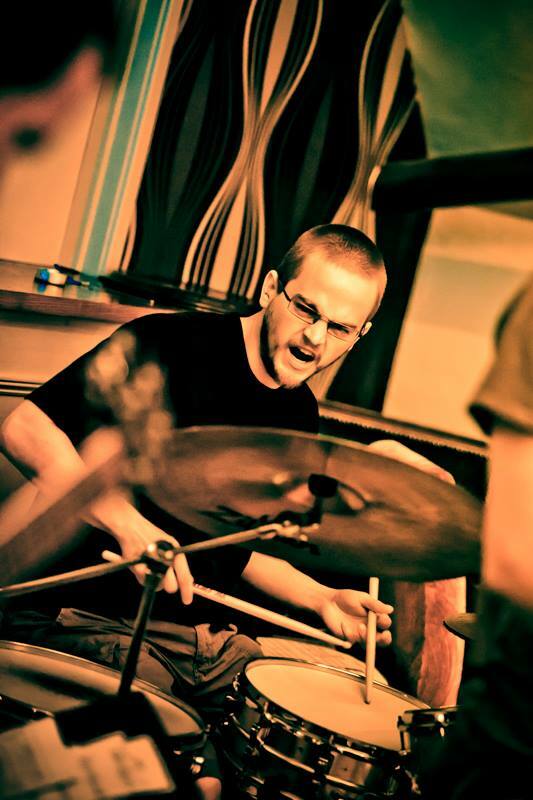 Colin Webster is known for his duos with drummer Mark Holub, and also turntablist Graham Dunning. He also performs regularly with Dutch free jazz/noise trio Dead Neanderthals. Join us for a great night of music! This entry was posted in drums, guitars, improv, joy, pandemonium, saxes on November 21, 2014 by cath. 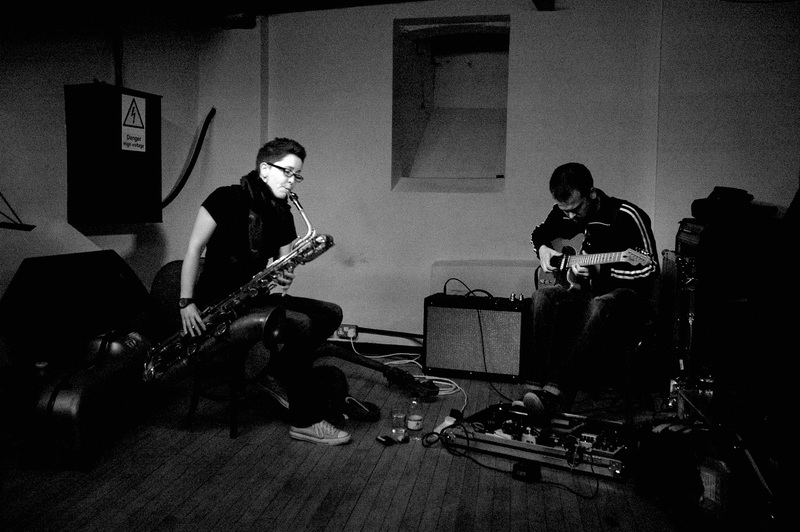 Ripsaw Catfish is Anton Hunter (guitar) and Cath Roberts (baritone saxophone). The Manchester and London-based duo formed in 2013 to explore improvised and composed music, and whatever lies between those things. They employ a collection of pre-composed elements which can be drawn upon, or not, during the course of an improvisation. Tonight they launch ‘Shoaling’, a UK tour with a collaborative focus, with support from Sound And Music. The duo will assemble ad hoc ensembles (‘shoals’) of improvising musicians at each location to play spontaneous sets of new music informed by, incorporating or ignoring the Ripsaw Catfish composed material. For this performance they are joined by improvising vibes player Corey Mwamba and his trio. 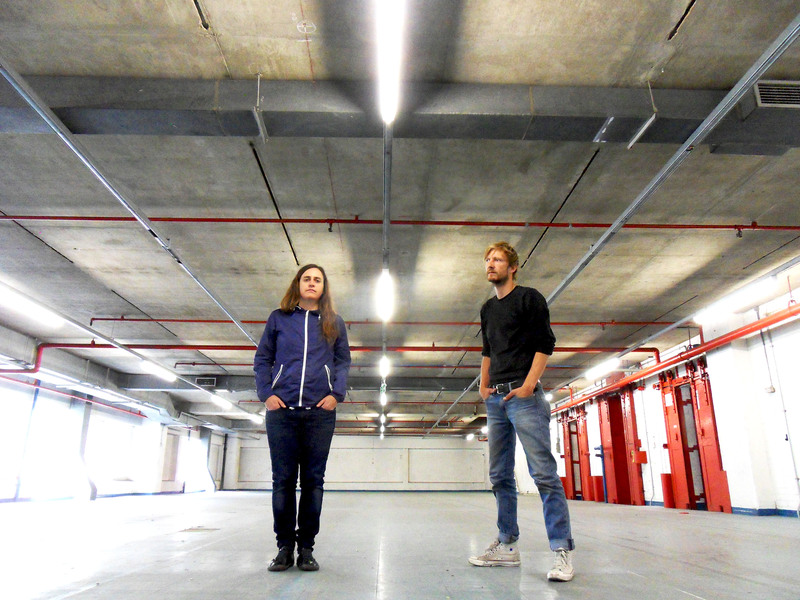 The brain-child of Merijn Royaards and Dee Byrne, Deemer started life in 2006 as a weekly improvisation/electronics session in a warehouse in Hackney Wick. The project has since evolved into an installation/performance based electro-acoustic ‘two-piece’ orchestra, whose aural narratives are created within fluid frameworks that map a trajectory in time, but leave the sonic textures and compositions entirely free and undetermined. Deemer employ, among other things, alto saxophone, drums, analogue electronics, tape, transducer microphones/speakers to instantly compose, activate space, and blur the boundaries between free jazz and sound installation. This new improvising trio explores two contrasting and overlapping personalities; one acoustic, one electronic. Using unique electronic instruments, they interact with their acoustic improvisations to form a rich and varied dialogue. Their interaction creates an absorbing interplay between past and present, a constant re-imagining of ideas within an expanded sonic terrain. Two releases, ‘Path To Field’ and ‘Scattered Voices: Part 1’ came out in early 2014. 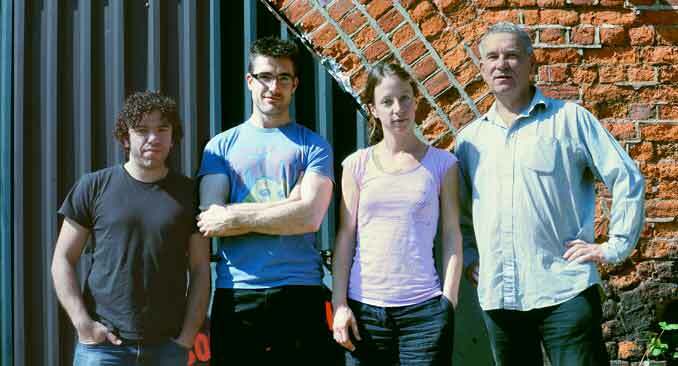 Led by Dee Byrne, Entropi started life in 2010 as a vehicle for composition and improvisation. Dee’s compositions deal with the inconsistent nature of time, the transience of life, exploration of the unknown, pivotal moments of decision making, journeys in outer space and the unlikely symmetry of seemingly unrelated events. 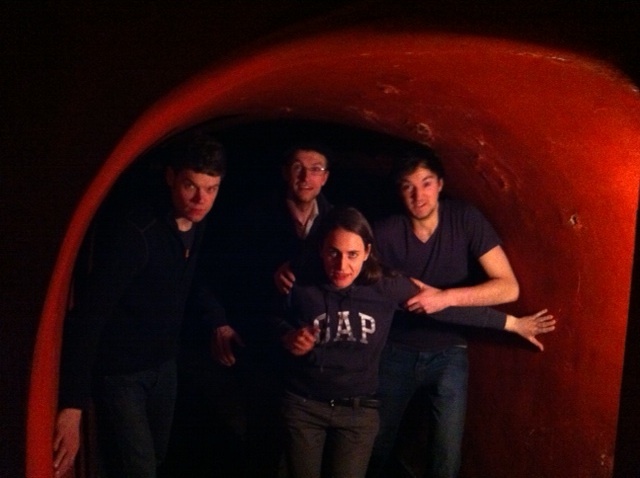 Cath Roberts leads this septet playing her compositions, described by Jez Nelson as ‘suitably psychotic!’ The current set of music is inspired by insects, fairground rides, underground tunnelling machines and fictional serial killers. The first Quadraceratops album was released on Efpi Records in October. On all three nights it will be doors 8pm, music 8.30pm at Long White Cloud. We hope you can join us for three festive nights at LUME! This entry was posted in a year seems to have passed, bass, drums, electronics, grooves, guitars, improv, joy, keyboardfest, magic, massive lineup, northern friends!, pandemonium, saxes, table moving, trombones, trumpets, vibes on November 14, 2014 by cath. 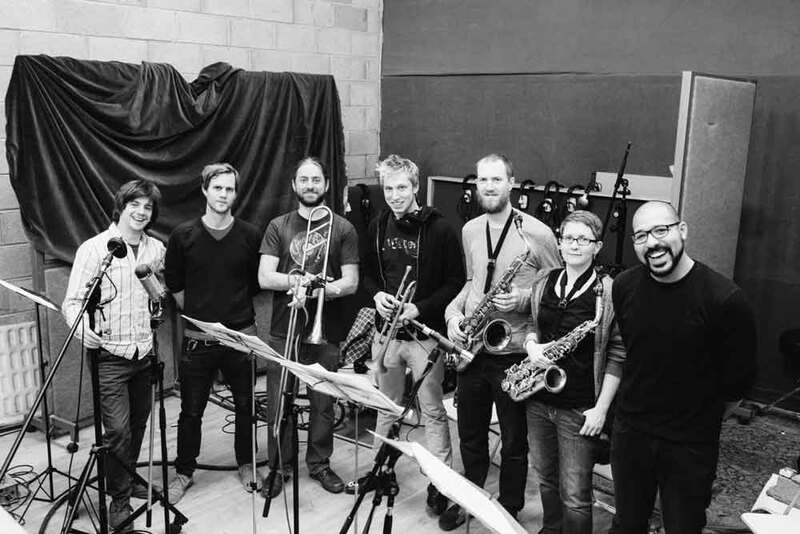 Composer, arranger and double bassist Paul Baxter brings together Leeds and London based musicians this week in an exciting double bill featuring two of his projects. Both groups will also perform a short improvised set together at the end of the evening. 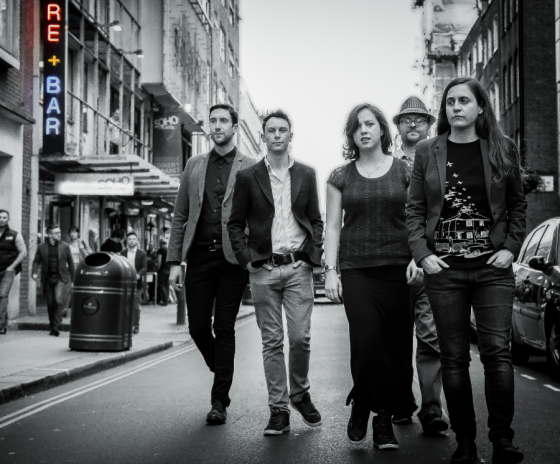 Formed in 2012 when Paul was studying for a Masters in Jazz Performance at Trinity College of Music, the ensemble explores the cosmos with free improvisation and group interaction using Paul’s idiosyncratic compositions as their astrological map. Think Ornette Coleman meets Tim Berne. Premiering new material drawing on influences from Bojan Z, The Bad Plus and even Bartok. The group combine rhythmic complexity and propulsion with a joyous freedom reminiscent of the 70’s Jarrett trio all this enveloped by their unique blend of accessible, melodic compositions with fiery and expansive improvisation. Doors 8pm, music starts at 8.30pm. £5 entry. This entry was posted in bass clarinets, drums, improv, joy, magic, northern friends!, saxes, table moving on November 7, 2014 by cath. This week we’re very happy to host the London date on Manchester-based drummer Johnny Hunter’s UK tour with his quartet. With a background of both the avant-garde and more mainstream jazz, Johnny has performed with Mick Beck, Nat Birchall, Jamil Sheriff, Corey Mwamba, Steve Beresford, Adam Fairhall and Steve Berry to name a few. As well as leading his quartet, Johnny plays with a multitude of other bands including Marley Chingus, Engine Room Favourites, the Blind Monk Trio, the Dub Jazz Soundsystem and Skamel. He runs the jazz jam night at Matt & Phred’s jazz club, the monthly ‘Brilliant Corners Jazz Club‘ in Sheffield, and is also involved in the Manchester free improv night ‘The Noise Upstairs‘. 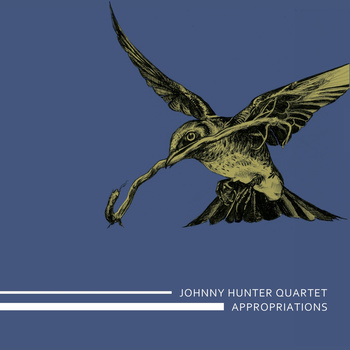 Playing Johnny’s original tunes, the quartet playing for us this week formed to explore the freedoms and challenges presented by the absence of a harmony instrument. This year they were one of the bands who appeared at the Jazz On 3 ‘BBC Introducing’ gig at Manchester Jazz Festival, and their first record ‘Approprations’ is out on the excellent Efpi Records. ‘Appropriatons’ sleeve artwork by Angela Guyton. Come and check out this excellent touring band! This entry was posted in bass, birds, drums, northern friends!, saxes, trumpets on November 3, 2014 by cath.